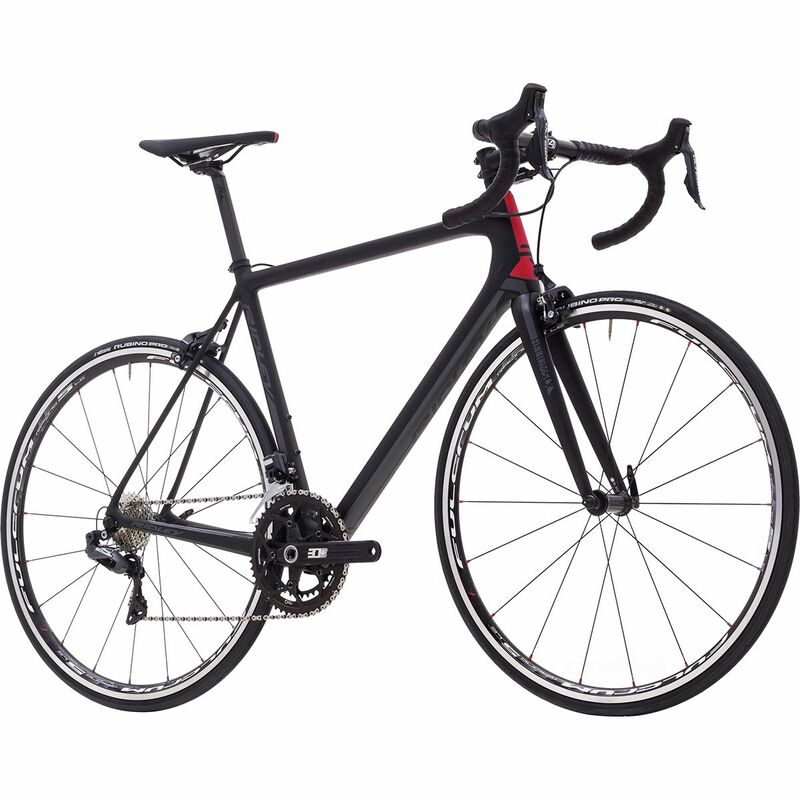 The Ridley Helium is a bike of Belgian make that is able to compete with some of the best professional bikes out there. It has been in different international cycling shows and magazines in the past, and has competed in the world famous Tour de France as well. We reviewed the Ridley Helium and were very impressed by it. The carbon fiber frame was very simple indeed, without any fluff on it that would take away from the speed capabilities of the bike. In addition to this, there are cables on both the inside and the outside of the bike’s tube. One of the primary goals of the frame design was obviously the reduction of weight, and this is apparent from the fact that the frame only weighs less than 1kg. Shimano Ultegra gearing and Fulcrum sets complete the image of the bike, with Racing 5 wheels too. While the bike feels like a featherweight, it punches like a heavy. The tubes feel thing and fragile, but the Ridley Helium is the exact opposite. It handles like a rapier, flitting across the roads like a hummingbird or even a hawk. This is a bike that has been made for the smooth, straight roads and aggressive riders out there. Overall, this is a bike that has very little wrong with it, and a lot for any competition to live up to. A paper-weight bike that handles like an F-22 Raptor and takes off in style, this is the perfect road bike for any aggressive cyclist. We had a ton of fond memories created when we parted with the Ridley Helium, and couldn’t find much to complain about. From the low weight to the amazing handling, this is a bike we loved to love.